Whether you are planning a vacation to the Netherlands are even you just want to enjoy a little vacation in your mind, the Netherlands has a lot to offer. If you really want to know what this little European country is all about, check out these 7 totally awesome things about the Netherlands. 1. Cycling – The Dutch ride their bikes everywhere. In fact, there are more bikes in the Netherlands than there are people. Biking is a healthy, environmentally-friendly way to get around. Given the excrutiating traffic and frequent stops via public transportation, biking is usually the fastest way to get from place to place. Using saddle bags, baskets, luggage racks, carriages, carts, and child seats, it is possible to carry just about everything imaginable via bicycle. And the Dutch actually do carry just about everything imaginable with their bikes. Even the kitchen sink. (Ok, so I haven’t seen a kitchen sink on a bike, but I have seen shower doors and microwaves to name but a few of the more odd items one can carry by bike). 2. 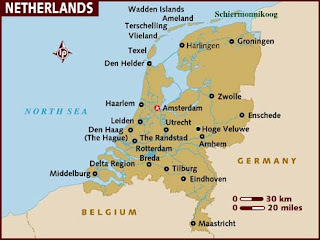 Central location – Another great thing if you are planning a vacation to the Netherlands, is that you can go almost anywhere in Europe from the Netherlands – it’s that centrally located. Two hours and you’re in Belgium or Germany. Four to eight hours will put you just about anywhere in France. Less than two hours by plane or ferry will put you in Ireland or the UK or Scotland. Roughly the same amount of time in the other direction will get you to Austria, Hungary, Poland, or Switzerland. And it’s all easily accessible via public transportation! 3. Rich culture – There are well over 400 museums and castles in the Netherlands. That’s no small feat for such a tiny country. Parks, zoos, nature reserves, and themeparks are also in abundance. The Netherlands also boasts some really cool celebrities: Vincent van Gogh, Rembrandt van Rijn, Anne Frank, Mata Hari, Van Halen, Johannes Vermeer, Johan Cruijff (soccer player), Femke Janssen (actress, X-Men), M. C. Escher (artist), Piet Mondrian (artist), Desiderius Erasmus (philosopher), Gerard Adriaan Heineken, and Anton Philips (Philips electronics). Even Santa Claus has Dutch roots! And let’s not forget the windmills and tulips. There everywhere and, no matter how many you see, you can never get enough. 4. Delicious snack food – A number of the most delicious Dutch snack foods are fried. If you are planing a vacation to the Netherlands, you will want to try the fried dough balls smothered in powdered sugar. Although I wouldn’t advise you to ask what’s in them, you simply have to try bitterballen and kroketten. From their Flemish neighbors, the Dutch have adopted the thick, juicy fries known as frites or patat and served with your choice of an overwhelming variety of sauces. Their stroopwafels are so yummy, even Trader Joe’s has started carrying them! 5. (Almost) everyone speaks English – Another great thing about planning a vacation to the Netherlands is that almost everyone speaks English. In the Netherlands, films and television shows are not dubbed. They remain in their original language and use Dutch subtitles on the bottom of the screen. Put simply, they watch shows like “Friends” in English with Dutch subtitles. Because of this early and frequent English invluence, almost everyone speaks English. This is great for tourists and non-Dutch speakers coming to live in the Netherlands. 6. Excellent healthcare – It is illegal for anyone living and/or working in the Netherlands not to have healthcare. With employers, the government, and individuals all pitching in, insurance costs are extremely affordable. The best part is that, by law, no insurance company can deny you basic insurance for any reason whatsoever. Basic insurance packages include general practitioners, specialists, hospital care, medication, maternity care, and IVF. For any services above and beyond these, additional or more inclusive policies can be taken out. was a big one for me. A number of parks and toilet areas can be found in every city. Some of these even permit your dog to run without a leash. Not only are dogs allowed in most restaurants, cafes and pubs, they’re also usually the first ones served – with a nice big bowl of water. Many shops also permit dogs and there are special times during the year when dogs are allowed on the public beaches. And its not just dogs. Go into almost any restaurant or store and you’re more than likely to spy their resident feline. This is just the tip of the iceberg. 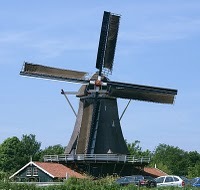 You’ll see these as well as other totally awesome things on your next visit to the Netherlands. It is a wonderful country both to visit and to live in. 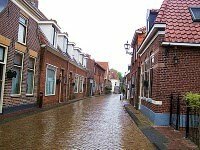 I hope you find this information about the Netherlands useful when planning a vacation to the Netherlands. 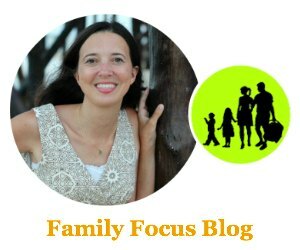 Guest post by Tiffany who is an American who moved to the Netherlands for love in December 2008. She lives in Utrecht with her husband and their dog. 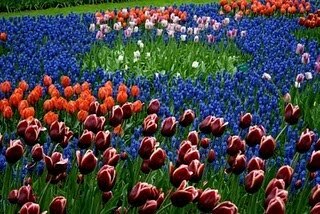 You can follow her as she chronicles her adventures on her blog Clogs and Tulips: An American in Holland.